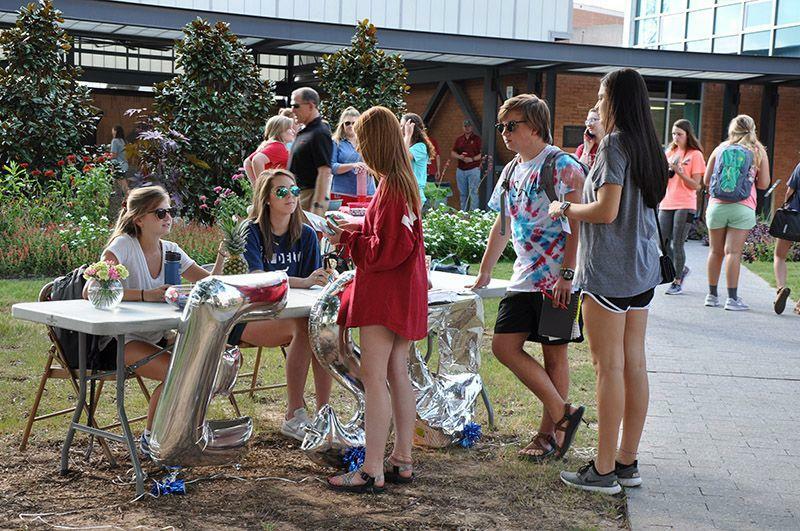 Joining clubs and organizations are great ways for our students to not only make friends and stay involved, but they often prove opportunities for volunteerism and professional development events that look great on resumes and make great talking points in a job interview. Collegiate FFA and 4-H: Prepares members for leadership and cooperative roles in their professional careers; open to all majors. Minorities in Agriculture, Natural Resources and Related Sciences: MANRRS promotes inclusion and advancement of members of ethnic/cultural groups under-represented in the agricultural and natural sciences and related fields in all phases of career preparation and participation. Alpha Epsilon- The Honor Society of Agricultural, Food and Biological Engineering. 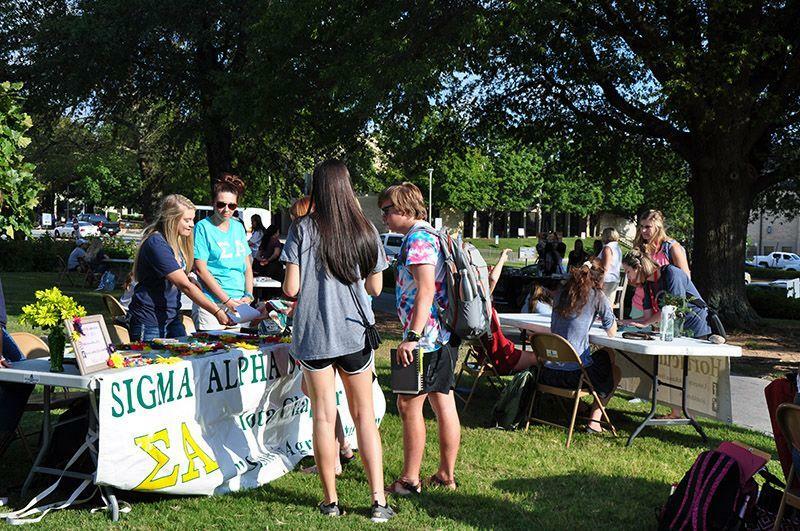 Sigma Alpha - Professional agricultural sorority for women promoting all areas of agriculture. Being an agriculture major is not a requirement. 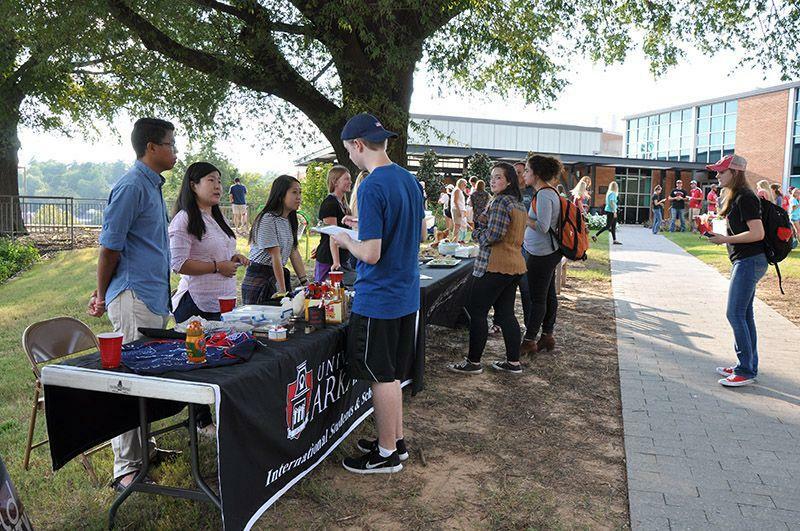 Agricultural Business Club - A pre-professional student club that provides opportunities to socialize, fosters academic achievement, and provides professional contacts. Industry leaders often speak at club events. Agricultural Communicators of Tomorrow - The Mission of the University of Arkansas chapter of ACT is to build relationships among agricultural communication professionals and college students and faculty, to provide professional and academic development for members and to promote agriculture through communications efforts. Agricultural Mechanics Club - Ag Mech Club is primarily for the Ag Systems students, although it’s open to all students who have an interest in technical types of things. Agro-Panama International - For leaders who seek to establish equality of opportunity in the agricultural sector globally, together with governmental institutions, non-governmental organizations and the general public in order to ensure food sustainability for tomorrow. Open to any major. 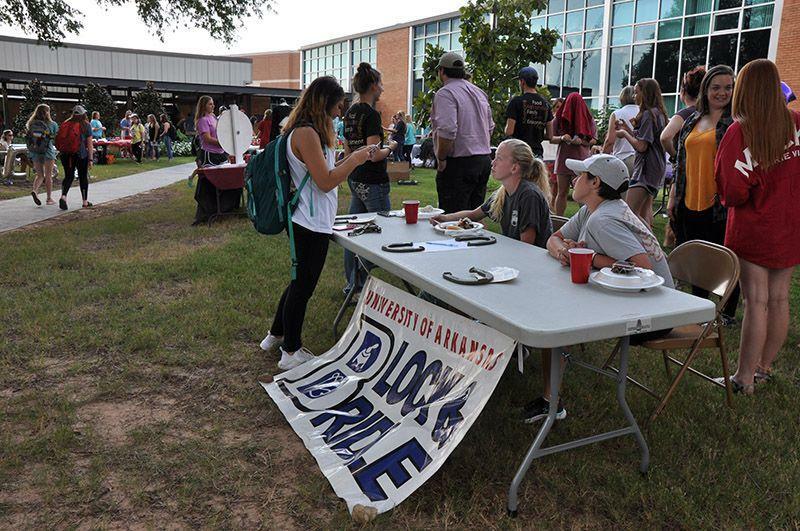 Block and Bridle Club - For students who are interested in the animal industries. The club is affiliated with the National Block and Bridle Club. Pre-Vet Club - An organization for students interested in veterinary medicine; especially designed for those students in the pre-veterinary medicine curriculum. 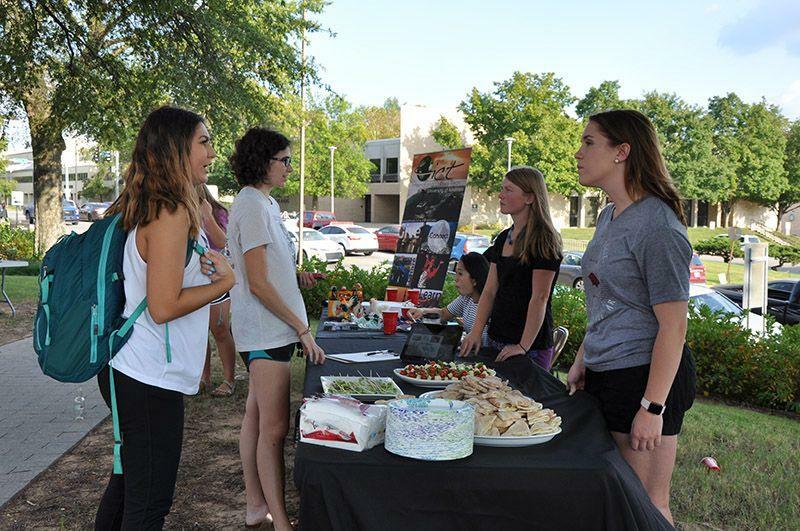 Crop, Soil and Environmental Sciences Club - Promotes stewardship of soil, water, and vegetation and sponsors projects and hands-on activities in a "living laboratory” setting to strengthen academic learning. Entomology Club - Members include graduate and undergraduate students and people in postdoctoral positions who are interested in entomology. Food Science Club - Graduate students and undergraduate students majoring in Food Science. Speakers and activities allow students to learn more about their chosen field, make contacts for the future, and have fun. 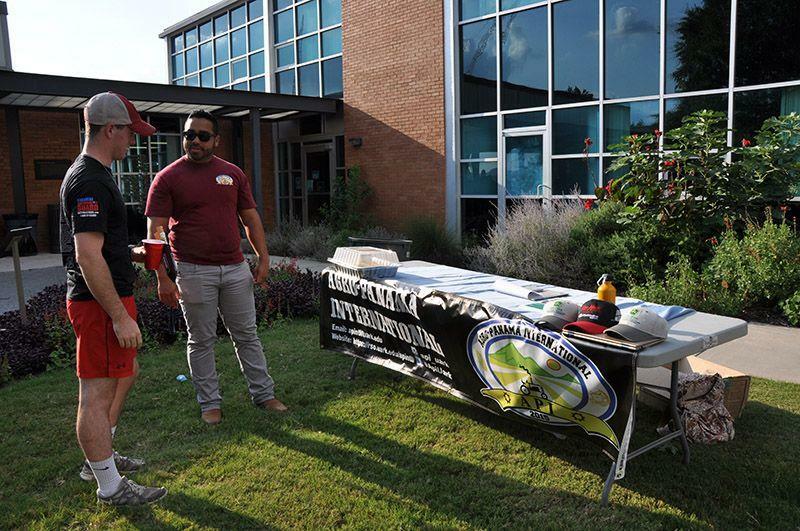 Horticulture Club - The Horticulture Club is for students interested in horticulture, including landscape design, floriculture, ornamentals, fruits and vegetables. American Association of Family and Consumer Sciences - For students who are in the School of Human Environmental Sciences. 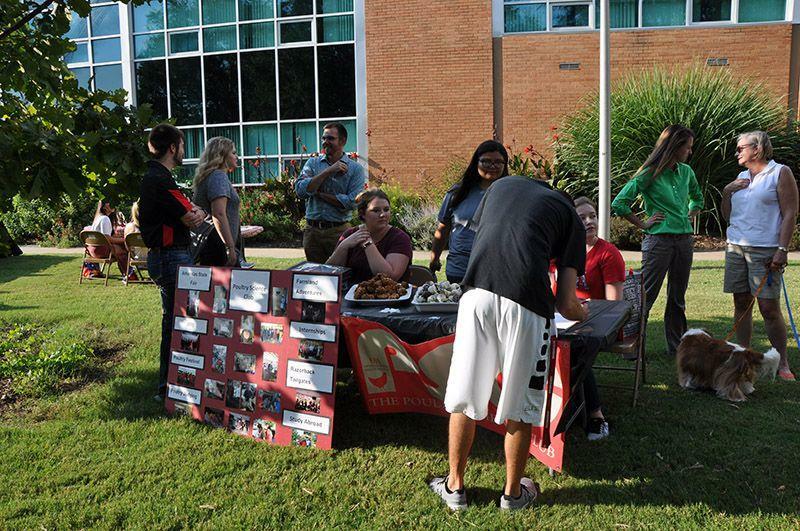 Monthly meetings highlight various phases of family and consumer sciences and provide social contact with other majors. Apparel Studies Student Association - Members interact with professionals in the fashion industry and learn about careers in the fashion business. Friends of the Infant Development Center - A student organization comprised of parents of children who are currently attending the Infant Development Center, and other friends of the IDC. Professional Convention Managers Association- For students interested in the profession of hospitality and restaurant management and related fields. 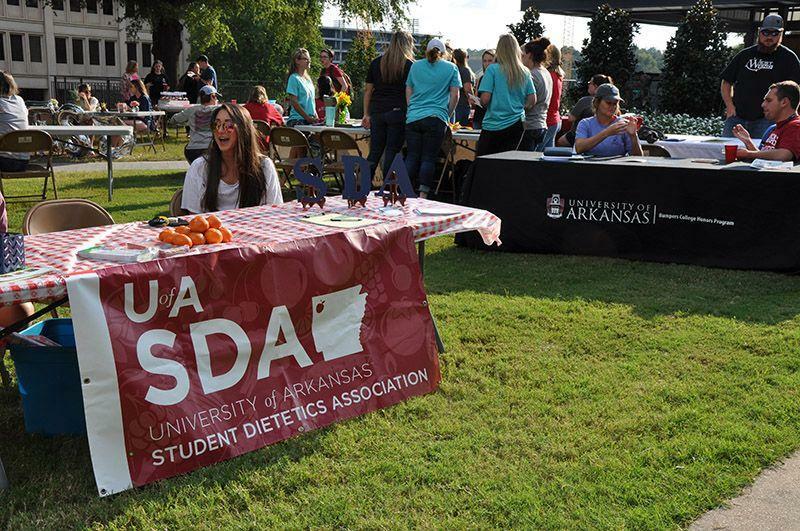 Student Dietetics Association - Open to any student interested in the field of dietetics. Activities are designed to inform members of the field of dietetics and to spread information to the public. Membership provides an excellent opportunity to interact with dietetics professionals and a chance to work with the community. Poultry Science Club - For students interested in poultry science. The club conducts social, educational and service activities. Speakers and other activities provide opportunities to network with poultry industry professionals. Poultry Science Graduate Student Association (PSGA) - Graduate students - you have your own site, check out what's going on. 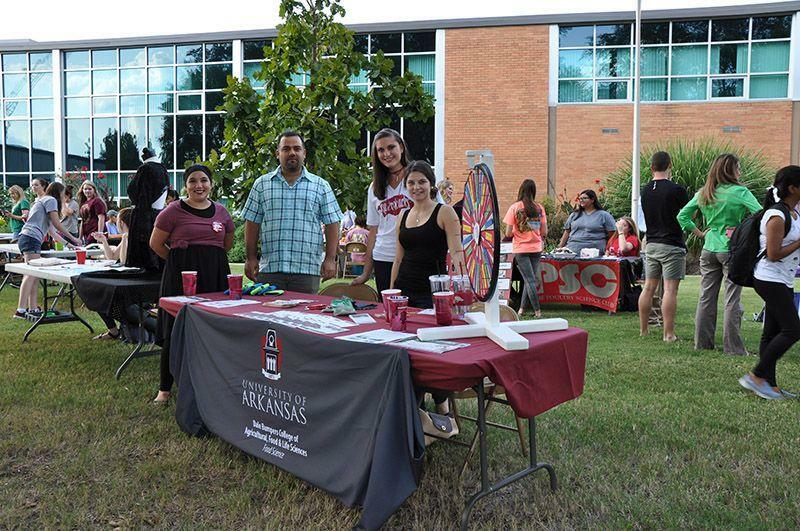 The PSGA is a great way to connect with fellow grad students while here at the University of Arkansas.